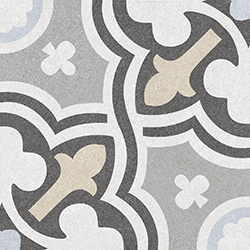 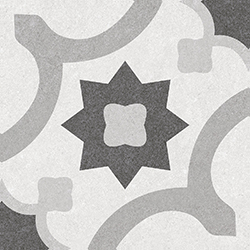 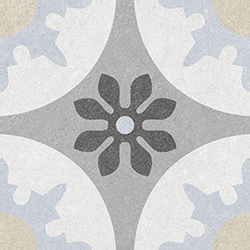 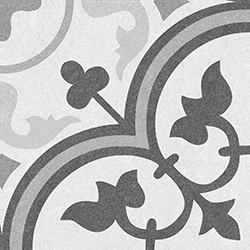 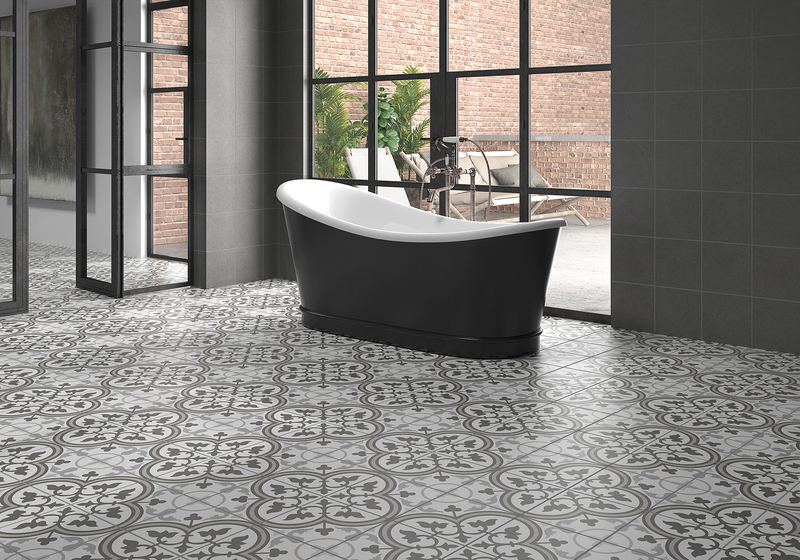 Decoration inspired by the hydraulic mosaic designs of the modernist period. 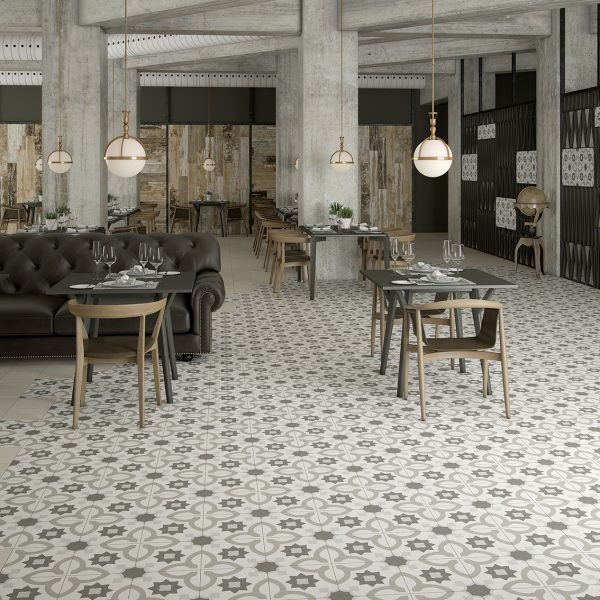 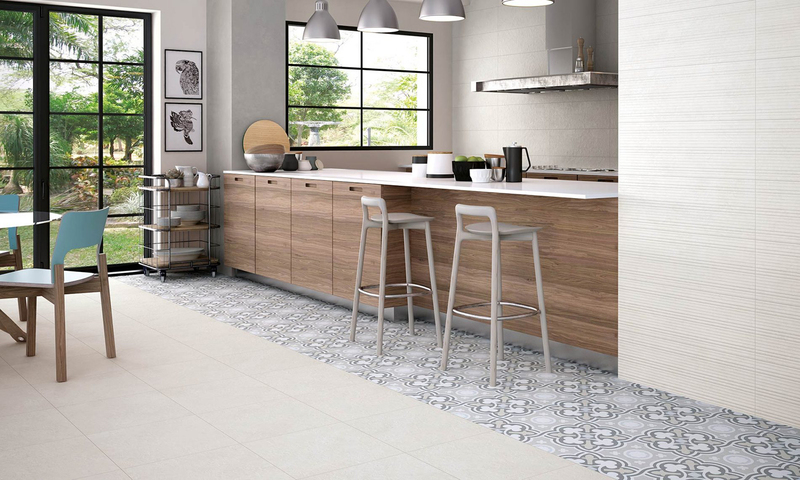 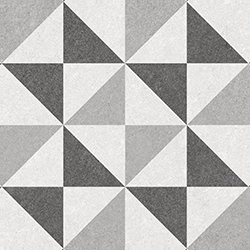 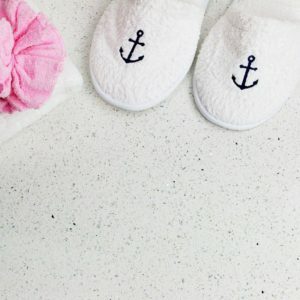 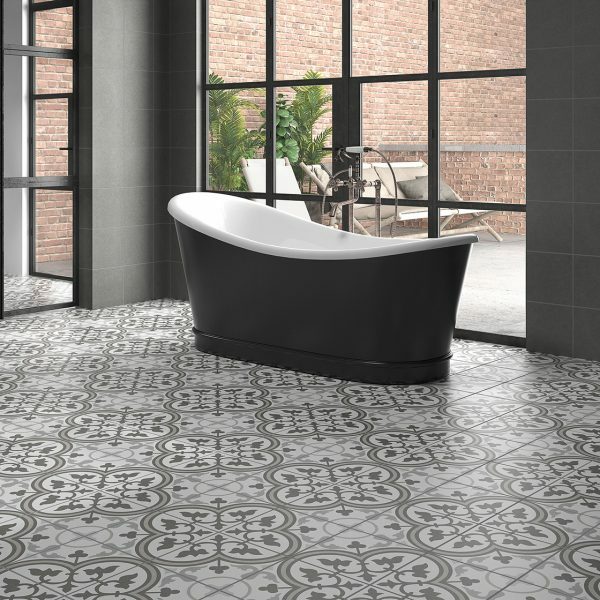 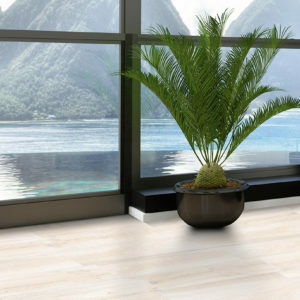 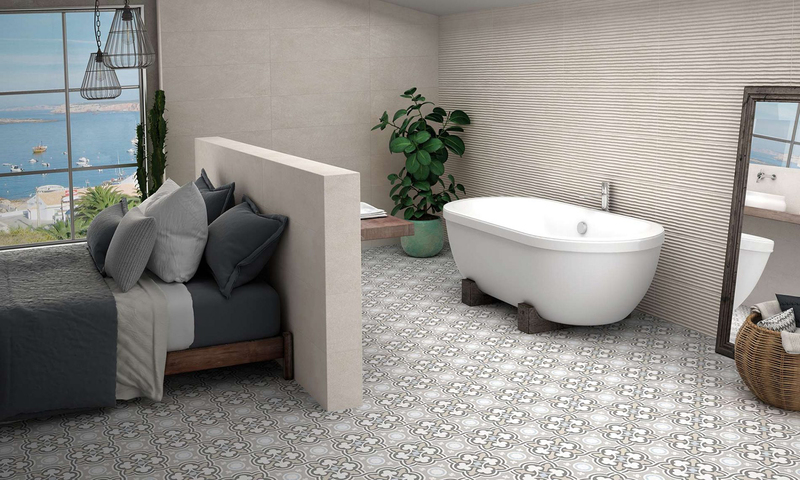 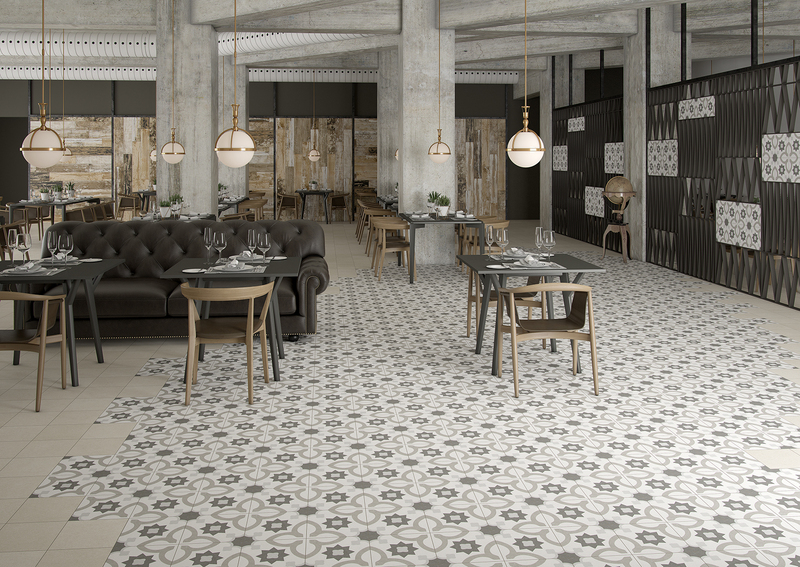 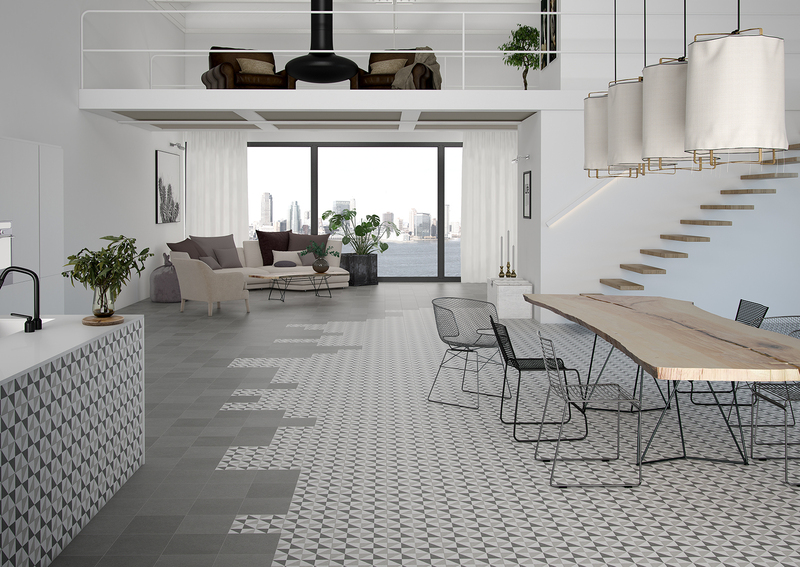 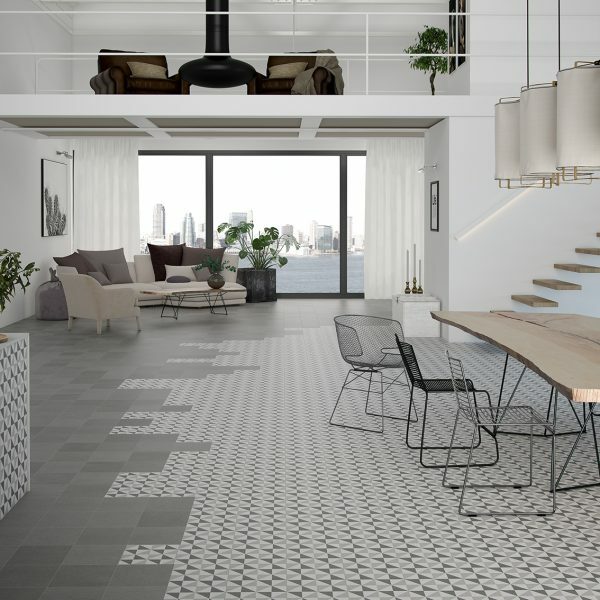 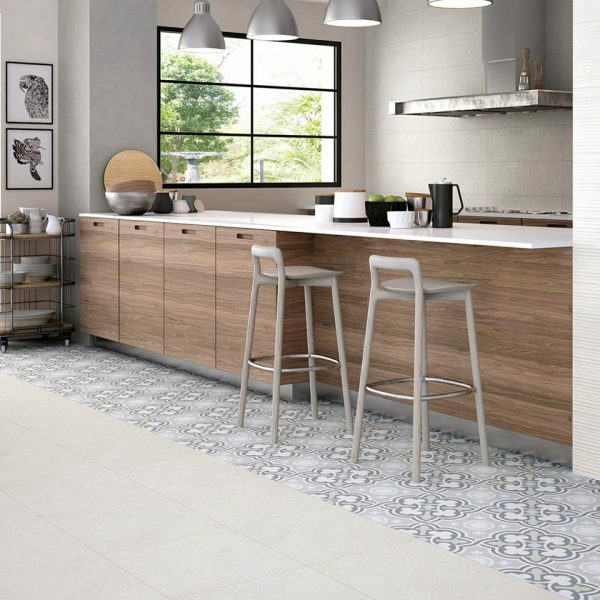 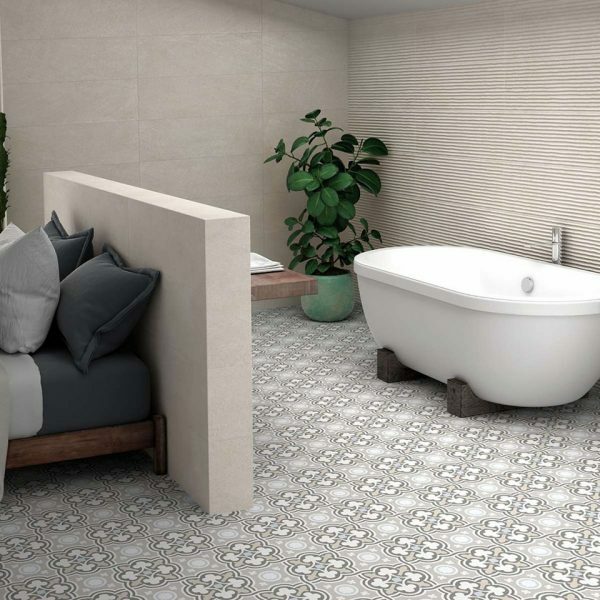 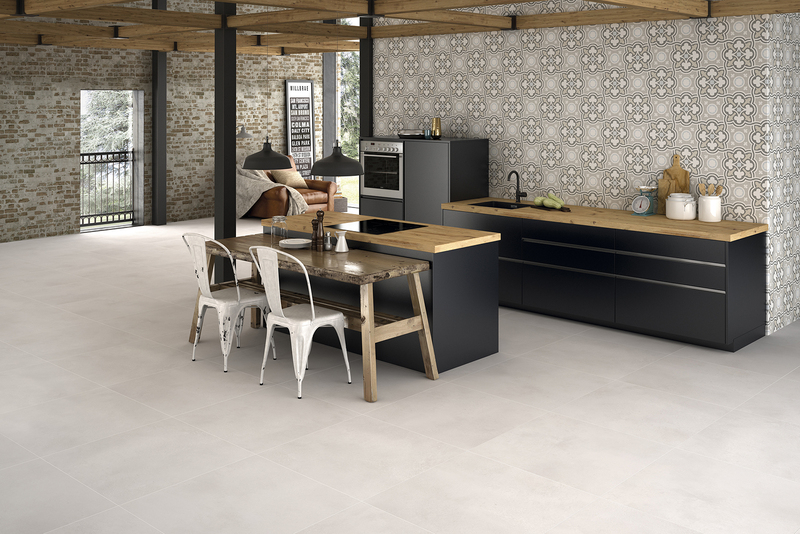 Patterned tiles are very fashionable used on both walls and floors either with coordinating plain tiles or by themselves. 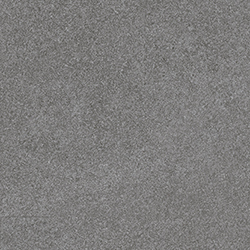 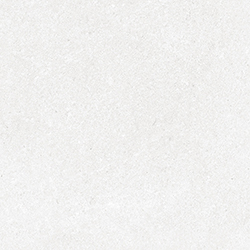 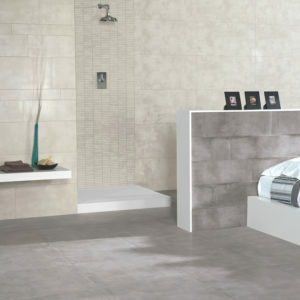 Combined with an R10B / PTV36 slip rating, the Gallery range offers an exciting design option for wet areas. 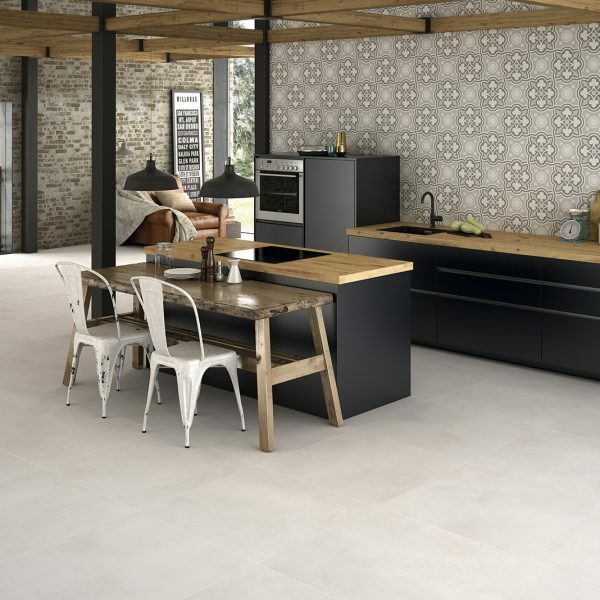 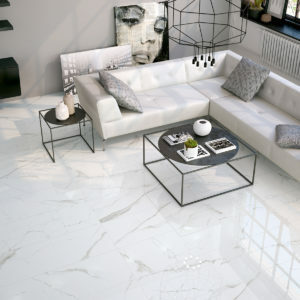 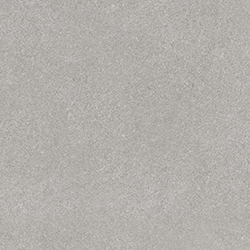 Create a feature wall in this way to achieve a striking effect with this unique matt porcelain collection.